Washington, March 13 (IANS) A US federal court has dismissed the visa fraud charges against Indian diplomat Devyani Khobragade, whose arrest and subsequent strip-search in New York escalated into a full diplomatic row last year. US District Judge Shira Scheindlin ruled Wednesday that no proceeding by the US government could be heard as Khobragade, being a diplomat, was immune from the court’s jurisdiction, The Wasington Post reported. Khobragade, an Indian consular official in New York, was arrested and strip-searched by the New York federal authorities last December on charges of visa fraud and irregularities in payments to her maid, Sangeeta Richard. Judge Sheindlin ruled that the Indian government had subsequently changed her status to one with full immunity and the fact this was done Jan 8, a day before she was formally indicted, meant that the indictment was invalid. Opposing her indictment charges, Khobragade had petitioned that she was “cloaked in diplomatic immunity at the time of her arrest”. She was appointed in India’s UN mission in New York on Jan 8. Meanwhile, the court allowed that she could be re-indicted if the prosecutor so chose. Commenting on the possiblity of Khobragade being slapped with further charges, Daniel N. Arshack, her attorney, said that it would be an “aggressive and unnecessary act”. 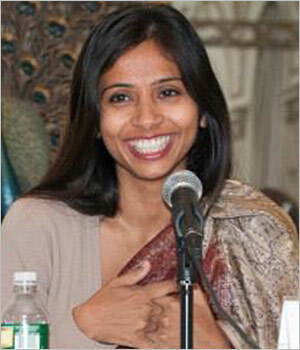 Khobragade, who left for India in January, is now posted in India’s external affairs ministry in New Delhi. India has welcomed the judgment and hoped there will be further progress in the matter “in a manner consistent with international norms and conventions”. External Affairs Ministry spokesman Syed Akbaruddin said that the government had seen the March 12 ruling of the judge in the US court in the southern district of New York, dismissing the visa fraud charges against Khobragade, whose arrest and subsequent strip-search in New York escalated into a full diplomatic row last year. “We welcome this ruling, which dismisses the Jan 9 indictment against Devyani Khobragade and vacates any arrest warrant in the existing case,” he said. The spokesperson said that the judgment does not consider the merits of the case, “or our well-known position, including on the admissibility of the arrest of Devyani Khobragade in December 2013”. “Given the importance both sides attach to their bilateral strategic partnership, the government hopes to see further progress in this matter in a manner consistent with international norms and conventions,” the spokesperson said. The US-India Political Action Committee (USINPAC) has also welcomed the dropping of charges against Khobragade. “We welcome Devyani Khobragade’s indictment being dismissed by the US Court and hope that lessons are learnt from this episode so that such unpleasant diplomatic situations between both countries do not arise in future. The whole incident also brought to light the gaps between diplomacy and local laws and we earnestly hope that such gaps do not happen in times to come, be it in US or India,” USINPAC said in a statement.